NEW YORK, January 30, 2018	(Newswire.com) - DiligenceVault, a data-driven platform for investment research and due diligence, is excited to announce partnership milestone in digitization and standardization of industry data. DiligenceVault has signed agreements with the following thought leaders: Alternative Investment Management Association (AIMA), Principles for Responsible Investment (UNPRI), and AITEC. This adds to existing Institutional Limited Partners Association (ILPA), Mutual Fund and ETF questionnaires on DiligenceVault. 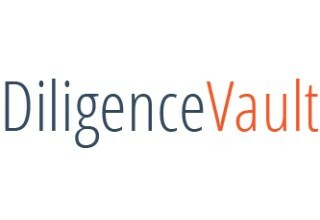 Institutional and wealth investors leverage DiligenceVault to digitize and centralize their text-heavy research information, including RFIs, RFPs, and DDQs and combine it with publicly available data sets to create an analyzable repository of structured data. Asset managers with mutual fund, hedge fund, private markets offerings, including SMAs benefit from standardized questionnaires and intelligent automation driven by natural language processing algorithms. The DiligenceVault platform allows asset managers to efficiently respond to multiple investors, helping them scale their active investor engagement by eliminating manually intensive copy and paste tasks. “Our vision has been to create a mutualized and vertically integrated SaaS platform where both parties to a diligence and investment transaction derive significant value, and we are thrilled with the strong industry adoption,” commented DiligenceVault founder Monel Amin. Plan sponsors, E&Fs, insurance and bank platforms, consultants with a combined asset base of $3 trillion are enjoying the benefits of technological innovation on the platform. DiligenceVault also works to stay on the forefront of cybersecurity and data security best practices in the industry. “AITEC seeks to promote a collaborative approach to managing cybersecurity within the financial services industry. The AITEC-AIMA DDQ is a key resource for our members, and our partnership with DiligenceVault has given this tool more visibility within the industry. Both organizations understand that technology holds the most potential when guarded by best practices in risk management,” noted Erin Calderon of AITEC. 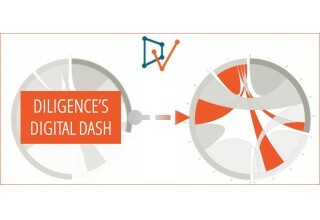 DiligenceVault is a data-driven due-diligence platform for the investment management industry, bringing analytical innovation, productivity and process automation for both asset allocators and asset managers.